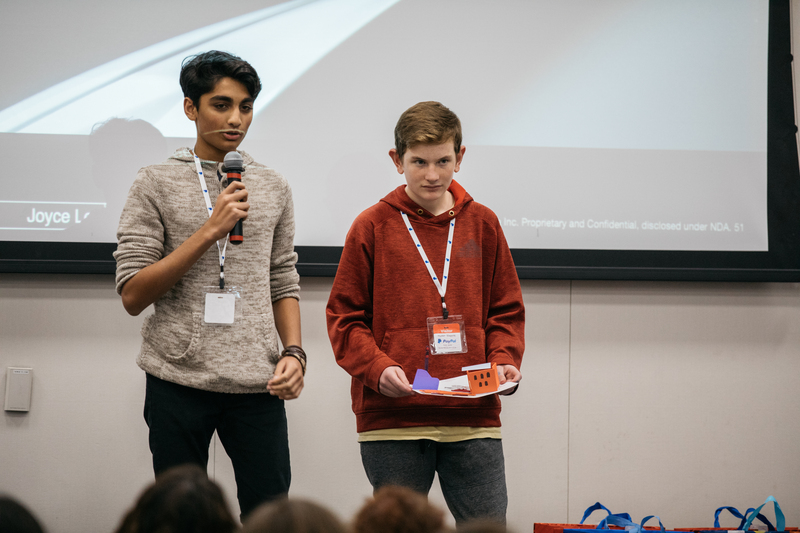 Davin (Hyde Middle School) showing off part of his and Owen’s (Herbert Hoover Middle School) prototype and winning idea. 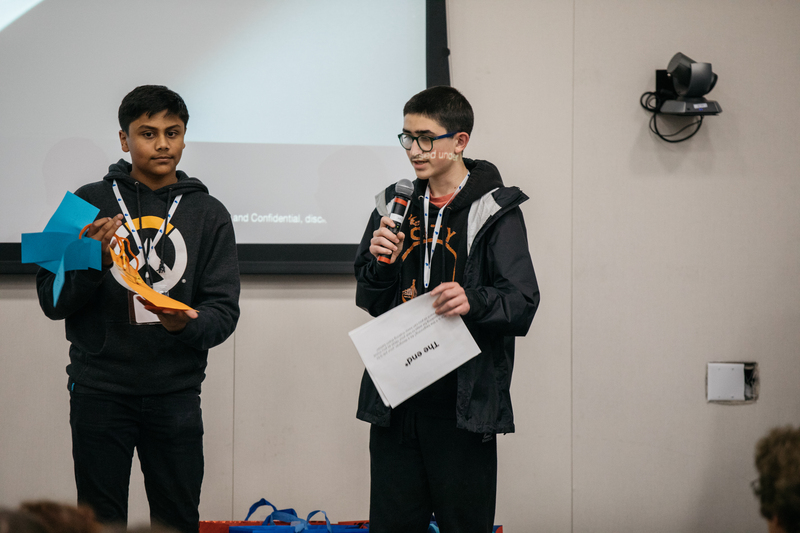 Congratulations to the 2019 Dare 2B Digital Design Challenge winners! 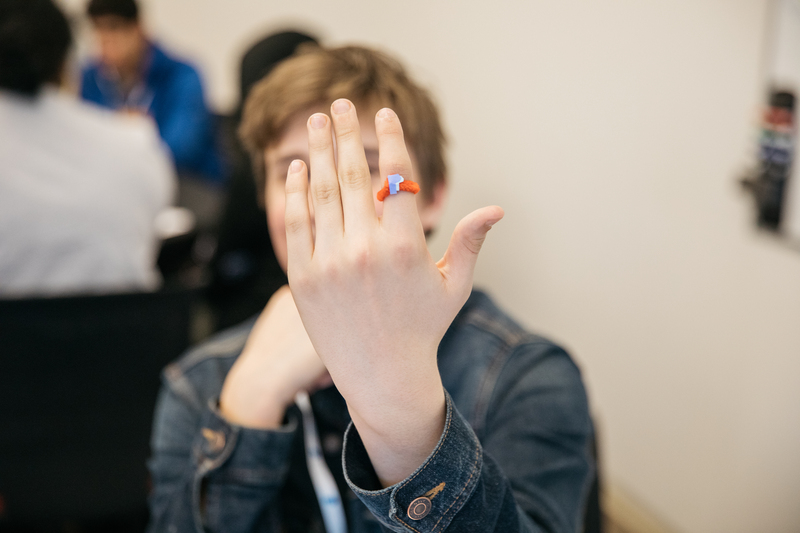 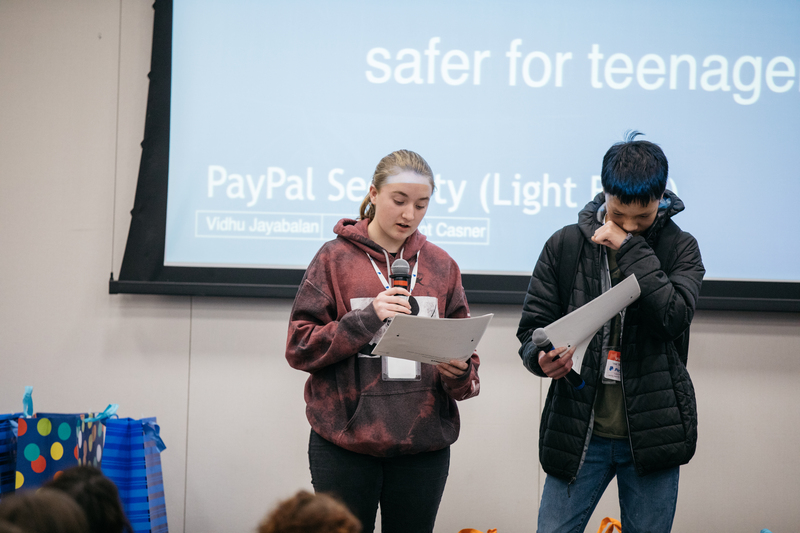 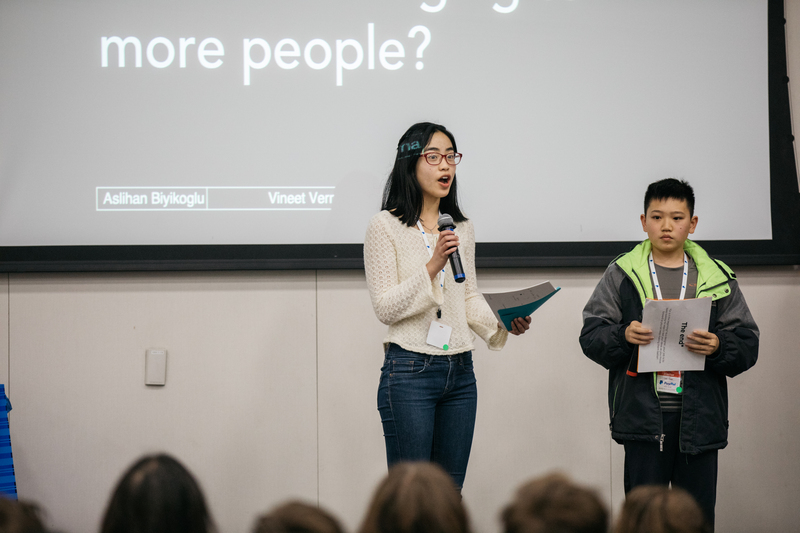 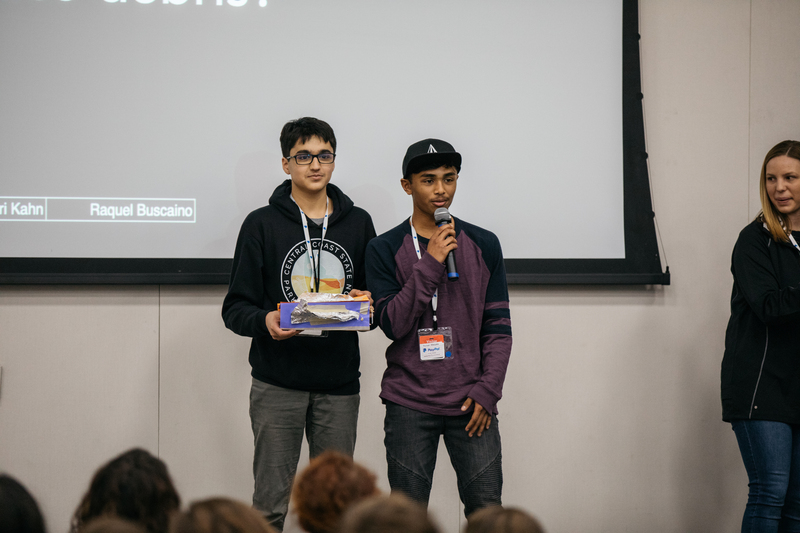 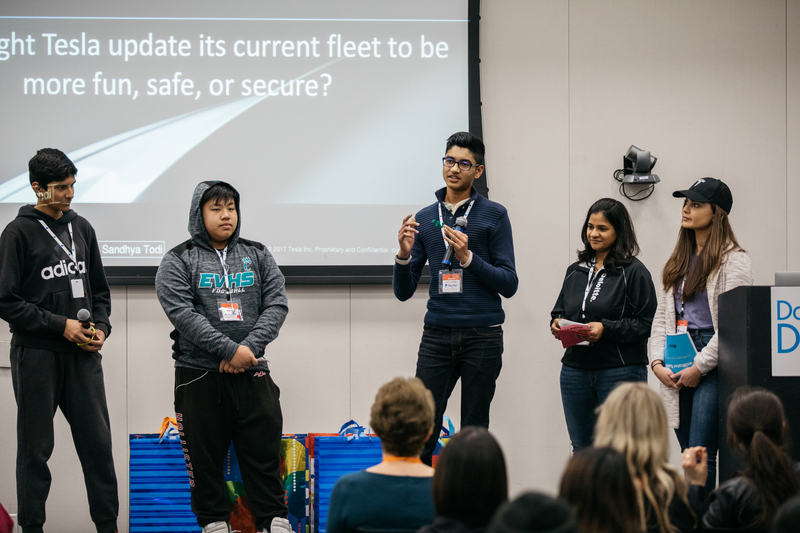 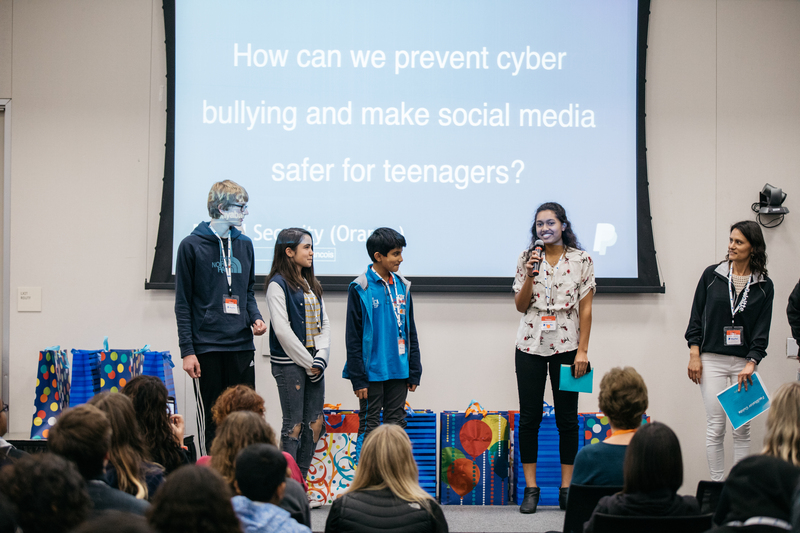 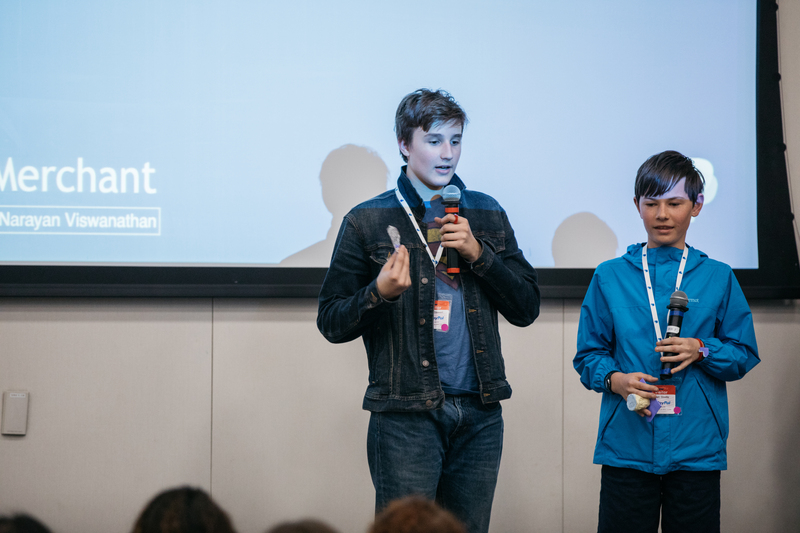 In this Challenge, young innovators who attend middle schools and high schools in the Silicon Valley were asked to form teams (2-5 students) and develop an innovative and feasible solution in one of five categories: Transportation, Environment, Cybersecurity, Cryptocurrency/Microfinance & Space Exploration.